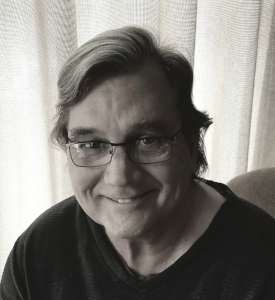 Mark Cox has previously published four books of poetry, most recently, Sorrow Bread, New and Selected Poems: 1984-2015 (Serving House Books), and Natural Causes (Pitt Poetry Series, 2004). The recipient of a Whiting Writers Award, a Pushcart Prize, and numerous fellowships for his work, he teaches at the University of North Carolina Wilmington and in the Vermont College MFA Program. 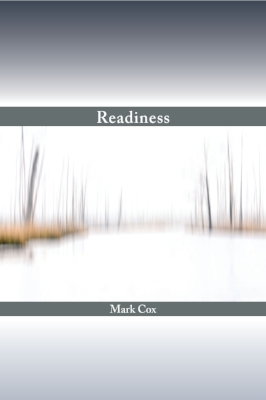 Behind surfaces that can sometimes be wryly comic, Mark Cox is unafraid to risk adult tenderness (“brutal tenderness” he says in one poem) and great empathy for this world’s sufferers. Which is to say that beneath a rich variety of occasions (from an ancient Egyptian mummifier doing up a fifteen-foot crocodile, to a current-day housewife doing up an angel food cake), Cox’s bedrock concern is that impossible thing of endless grief and joy that we call the human condition. These poetic meditations and monologues are some of the least prosaic prose you’ll ever read. Tony Hoagland has said Mark Cox is “a veteran of the deep water; there’s no one like him,” and Thomas Lux identified him as “one of the finest poets of his generation.” No one speaks more effectively of the vital and enduring syntaxes of common, even communal, life. Mark Cox has a wry, deadpan humor, a piercing wit, and a keen knowledge of the contradictions of the human heart. Thirty-Seven Years from the Stone confirms Mark Cox’s promise and further fulfills his talent. [Mark Cox] meditates, describes, narrates the impossible path between what is in us and what is around us—that is the heroism of his work.